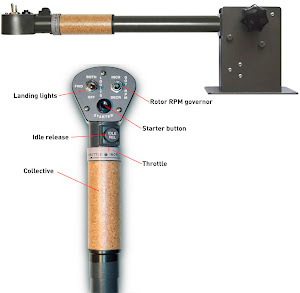 OE-XAM Professional Helicopter Simulator ... flyit! 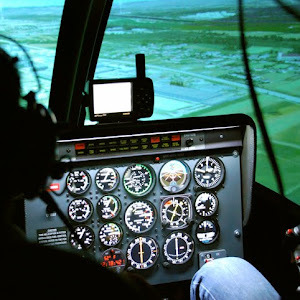 The OE-XAM Professional Helicopter Simulator is a two place seating cockpit with dual controls providing hands-on instruction for all flight maneuvering. 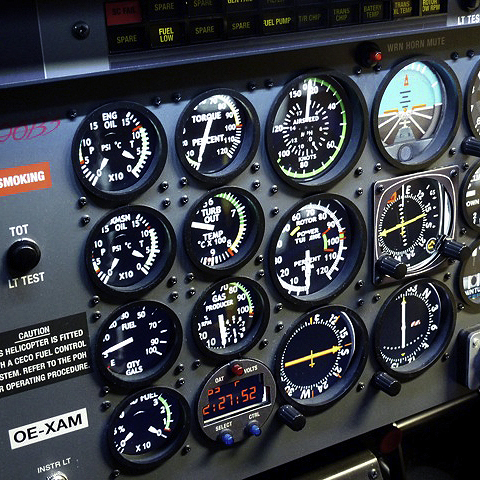 A complete instrument panel for visual and instrument training. • Replica Schweizer 300 cockpit panels and console, highly accurate in size and text placement with accurate switches and knobs. • Replica Schweizer 300 interior trim pieces, highly accurate in size and shape to give the cockpit a realistic look. • Replica Schweizer 300 Collective and Cyclic. • Replica Schweizer 300 Rudder pedals. • Replica Schweizer 300 Pilots seats. The Bell 206 is a two-bladed, single- or twin-engine helicopter, manufactured by Bell Helicopter in Mirabel, Quebec. Originally developed as the Bell YOH-4 for the United States Army's Light Observation Helicopter program, the 206 failed to be selected. Bell redesigned the airframe and successfully marketed the aircraft commercially as the five-place Bell 206A JetRanger. The new design was eventually selected by the Army as the OH-58 Kiowa. Bell also developed a seven-place LongRanger, which was later offered with a twin-engine option as the TwinRanger. It has a one pilot and four passenger capacity, a range of 693 km (374 nm) and a maximum speed of 224 km/h (122 knots). • Replica Bell 206 Main Instrument Panel (MPI), Mode Control Panel (MCP), highly accurate in size and text placement with accurate switches and knobs. • Replica Bell 206 interior trim pieces, highly accurate in size and shape to give the cockpit a realistic look. • Replica Bell 206 Collective and Cyclic. • Replica Bell 206 Rudder pedals. • Replica Bell 206 Pilots seats.